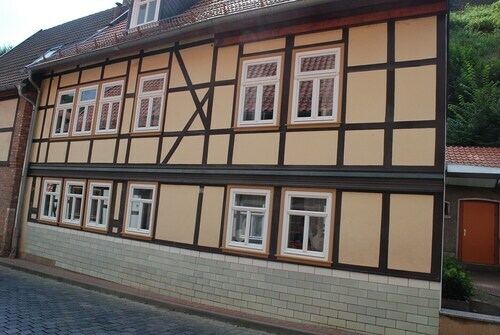 Situated in Stolberg, this hotel is steps from Museum Kleines Bürgerhaus and Ancient Coin Museum. Schloss Stolberg and South Harz Nature Park are also within 3 mi (5 km). 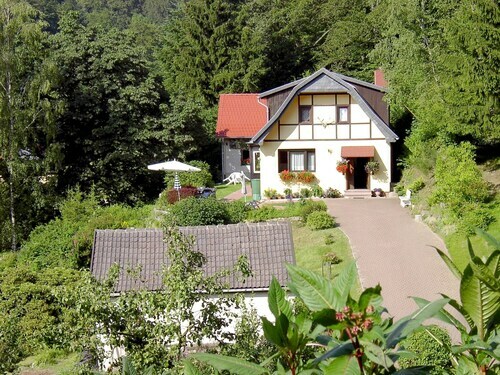 This family-friendly Stolberg vacation home is located in the mountains, within a 5-minute walk of Museum Kleines Bürgerhaus and Ancient Coin Museum. Schloss Stolberg and South Harz Nature Park are also within 3 mi (5 km). Situated in Stolberg, this vacation home is within a 15-minute walk of Museum Kleines Bürgerhaus, Ancient Coin Museum, and Schloss Stolberg. Aussichtsturm Josephskreuz and South Harz Nature Park are also within 3 mi (5 km). 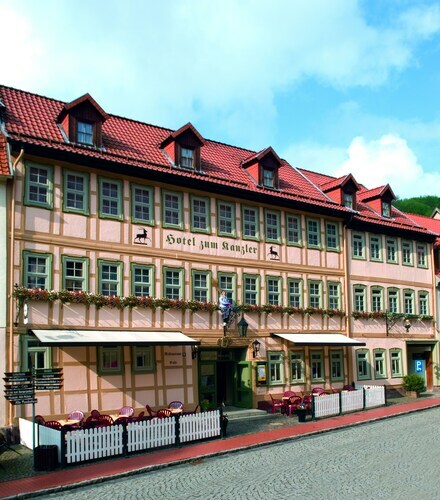 Situated in Stolberg, this hotel is 1.8 mi (2.9 km) from Schloss Stolberg and within 25 mi (40 km) of Kyffhaueser Monument and Walkenried Abbey. European Rosarium is 25.6 mi (41.3 km) away. 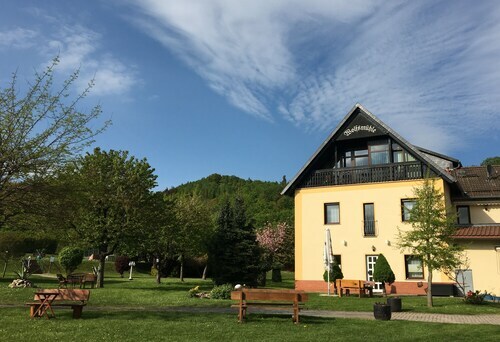 Situated near the boardwalk, this hotel is 0.1 mi (0.1 km) from South Harz Nature Park and within 6 mi (10 km) of Ancient Coin Museum and Museum Kleines Bürgerhaus. Schloss Stolberg and Aussichtsturm Josephskreuz are also within 12 mi (20 km). 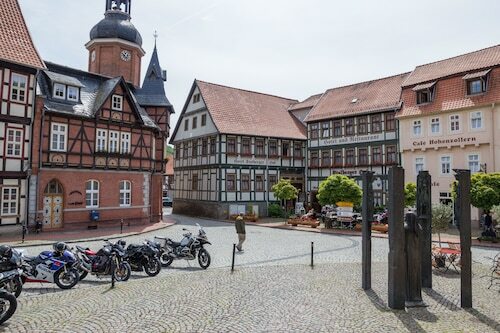 Situated in Oberharz am Brocken, this apartment building is within 9 mi (15 km) of Pullman City Harz, St. Salvator Church, and Rappbodetalsperre. 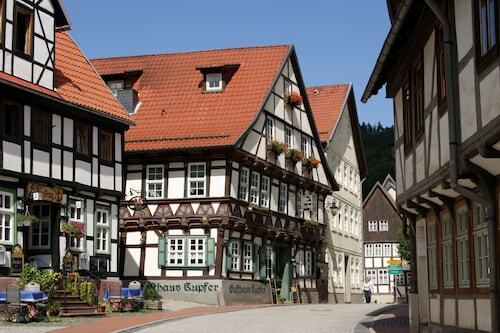 South Harz Nature Park and Grenzlandschaft and Museum Sorge are also within 12 mi (20 km). 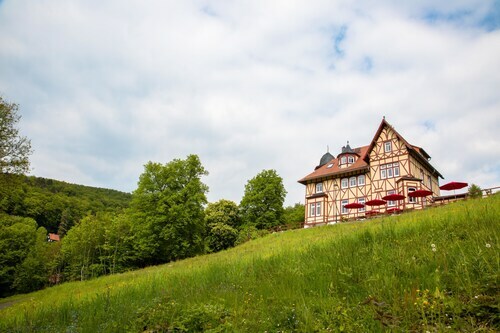 Situated in Harzgerode, this vacation home is within 9 mi (15 km) of South Harz Nature Park, Ancient Coin Museum, and Schloss Stolberg. Aussichtsturm Josephskreuz and Pullman City Harz are also within 9 mi (15 km). History is everywhere we look, not just in classrooms or textbooks. You will gain some insight into the area's past when you pay a visit to Schloss Stolberg. You'll be able to experience it by making your way to Suedharz, 40 miles (64 kilometers) outside of the state capital, Erfurt. Are you only in town for a short time? 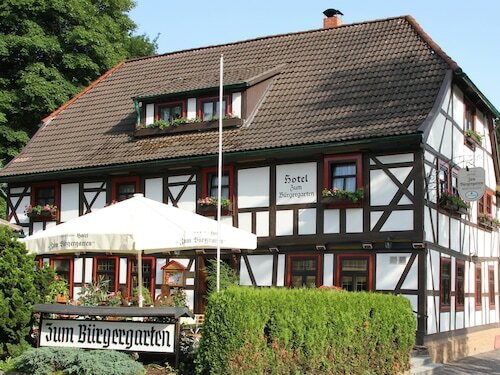 If you would prefer to cut out some of your travel time, make a booking at the Gasthaus Kupfer and Hotel Zum Kanzler. All you'll need to do to experience Schloss Stolberg is step outside! 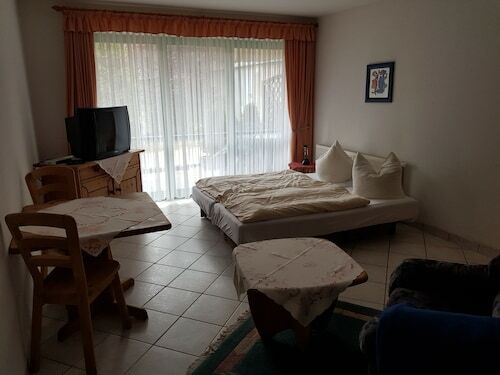 The Pension Waldoase Hirschbüchenkopf is the lone low-cost hotel in the area, and it's approximately 5 miles (8 kilometers) away. Cafe etiquette varies widely across the globe. Order a coffee and some snacks from Sonja´s Cafe mit Geschenkestübchen, just a quick walk from Schloss Stolberg, and take in the little differences! Also in the vicinity is Ristorante Cava d'oro, a popular eatery that offers a variety of satisfying meals. If you're eager for more, settle in for a drink or two at Gusto Bar - Cafe - Restauration. Grasp a deeper sense of the culture and spirit of the area by going to see Dom Zum Heiligen Kreuz, a local place of worship. Pullman City Harz is an old but charming part of town, that is sure to make you feel you've stepped far back in time. Looking for some inner peace? Make plans to have a look at St. Salvator Church, a local house of worship. Inject some culture into your stay by enjoying a play or two at Harzer Bergtheater. To have a look at some awe-inspiring cliffs, pay a visit to Rosstrappe. How Much is a Hotel Room in Schloss Stolberg? Hotels in Schloss Stolberg start at $62 per night. Prices and availability subject to change. Additional terms may apply.